This breakfast en plein air is a mix between our glamping and ranching offerings. Executive Chef Josh Drage learned to cook with Dutch ovens when he was growing up in Alaska, and they have been used by ranches to feed their crews for most of Montana’s history. Guests hitch a ride on a wagon to Piney Pond, where they dish up food cooked over hot coals and enjoy the sounds of a waterfall under the Big Sky. Cowboy coffee is served and there’s plenty of time to explore before heading back to the wagon to resume the day’s itinerary. 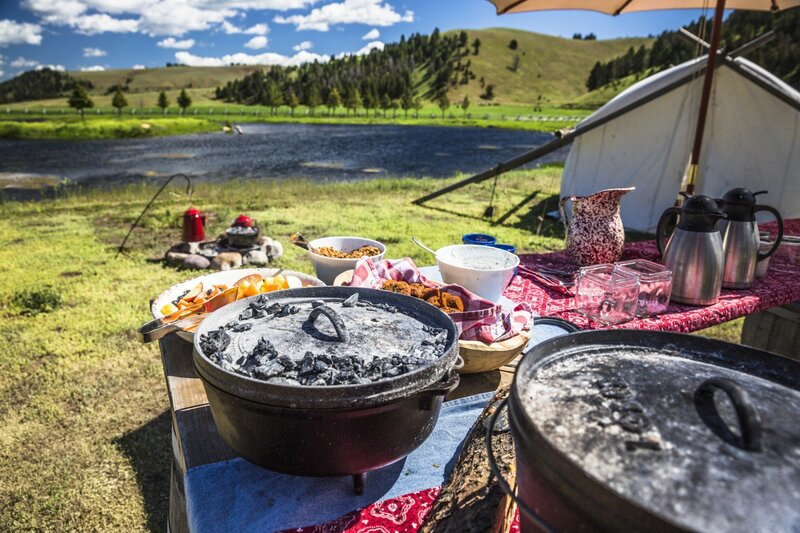 Read a blog about this special summer event and grab Chef Drage’s recipe for a Dutch oven frittata on when you read our glamping blog. Mosts guests have only seen barn dances in the movies, and frankly, they come across as rather corny. But this blog writer and The Ranch can attest that it is one of the most robust, enjoyable experiences we offer. 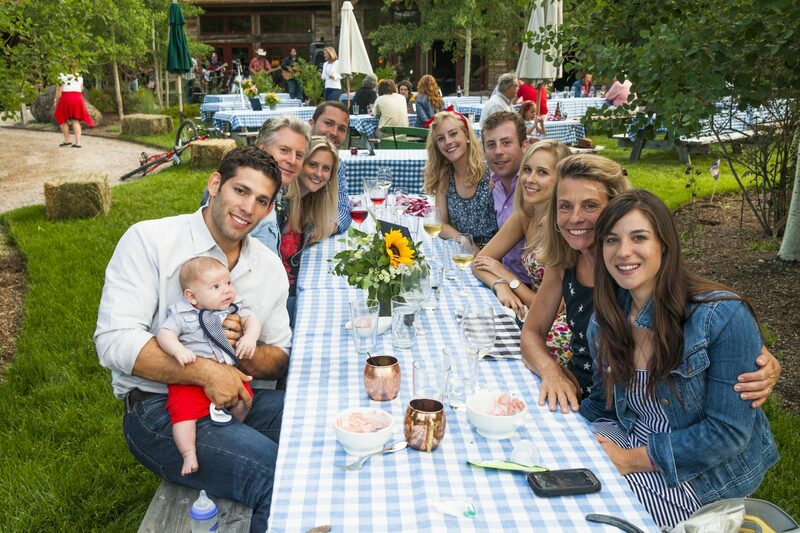 It combines the makings of a great party – hors d’ouevres, lawn games, artisan cocktails, a farm-to-table feast, dancing and live music with a touch of country nostalgia. Bands play country classics and newer hits. Included in social hour is a country swing dancing lesson, so that when the music starts your boots know how to scoot along. This event also kicks up a bit of nostalgia. Barn dances were some of the few occasions families got together with their neighbors to let loose in Montana’s earliest days. You’re likely to make new friends, sing along and leave loving the homestead hospitality that makes frontier Montana so special. 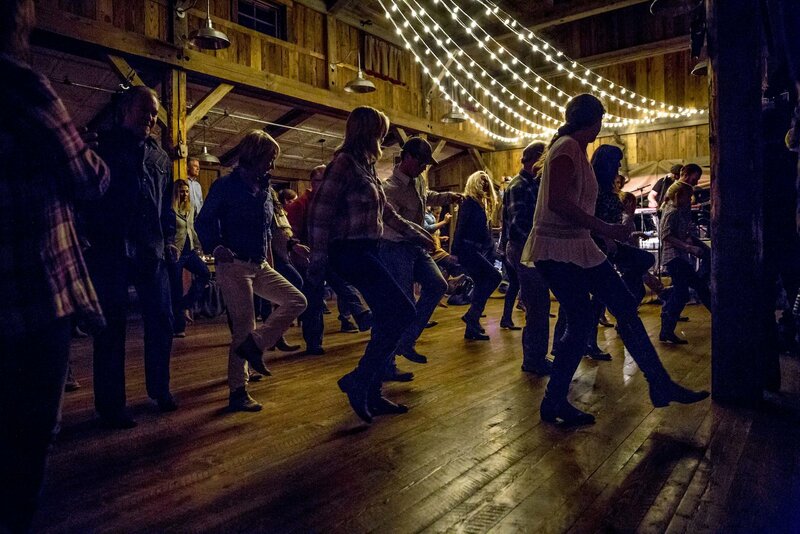 Read more about the history of barn dances here. 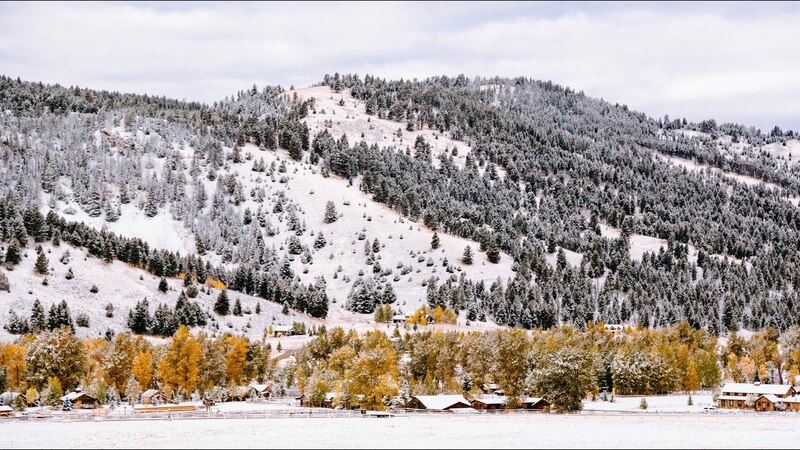 Photo by former Rancher Zachary Jones. Spend a morning on Rock Creek and you’ll see why our riparian habitat beckons birds to fish alongside us. 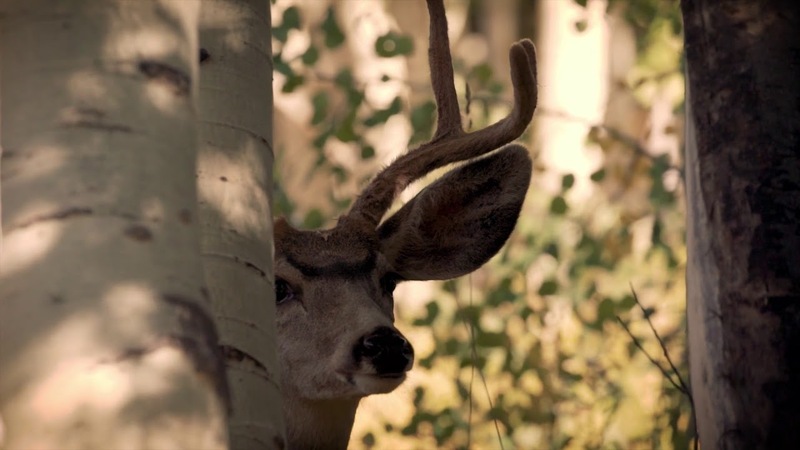 As a National Geographic Unique Lodge of the World, we work to deliver excellence in sustainable travel, and give our guests the chance to learn from the National Geographic Society’s distinguished programs. Last year we began offering narrative photography workshops. This year, we’re working on understanding our avian friends in conjunction with Nat Geo’s Year of the Bird – which marks the centennial of the Migratory Bird Act. Over Memorial Day Weekend we are launching several birding initiatives. We will give guests a chance to learn from our Master Naturalists and the Montana Natural History Center as we conduct a bird banding station to research the species of birds that enjoy Rock Creek. 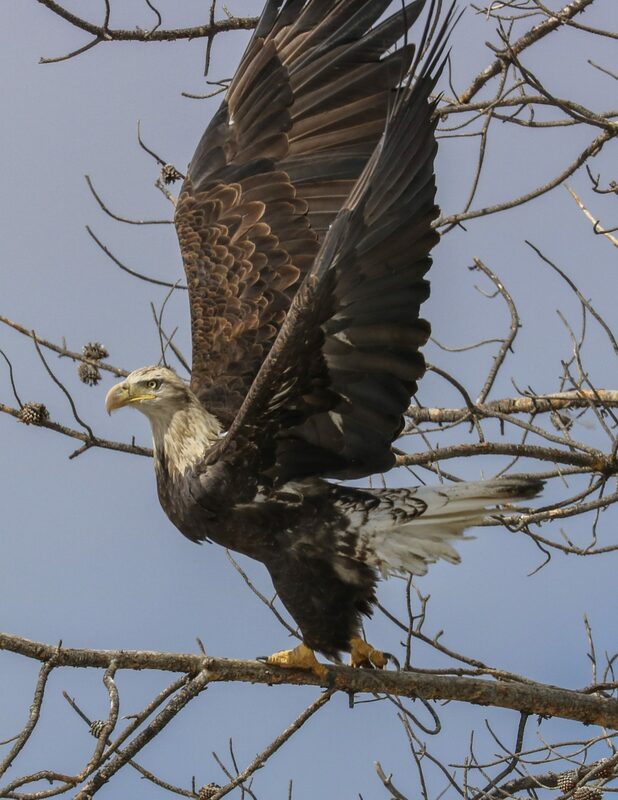 In addition, on Sunday night, we will have a “Bird Your World” talk that will cover the importance of the Migratory Bird Act, the National Geographic initiative, and the ways birders and nature lovers can take action to help protect birds living near their homes and on The Ranch. 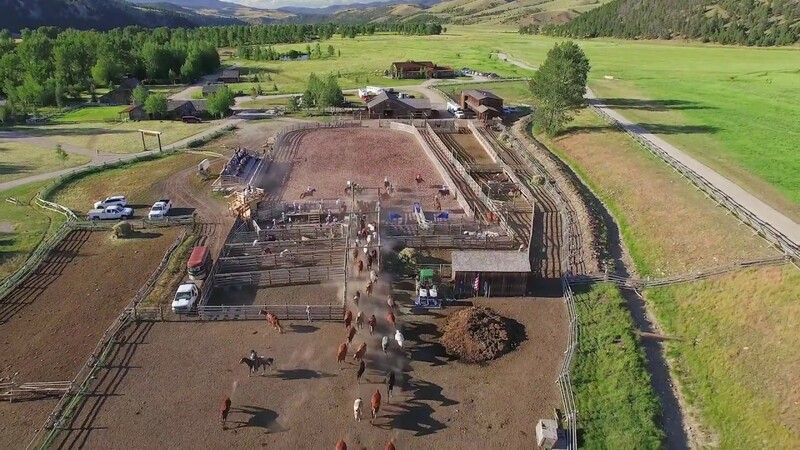 In addition to being a luxury guest ranch (and the world’ first Forbes Travel Guide Five-Star guest ranch), we are a working ranch. This means our Ranch managers and wranglers manage irrigation, a haying operation, a growing cow herd, a 80-horse herd, pastures and rodeo grounds alongside our other outdoor adventures and activities. Most of these staff members have worked with livestock all their lives and use their expertise day in and out to ensure that every animal is cared for and every practice is sustainable. Some of these practices date back to our first days as a homestead, and others have been perfected through the years. This year, we’re responding to our guests’ inquiries for information about our ranching operation with a special rodeo-day Behind-the-Chutes tour. Guests will learn about livestock welfare, horsemanship, tack, and the ins and outs of our weekly rodeos. 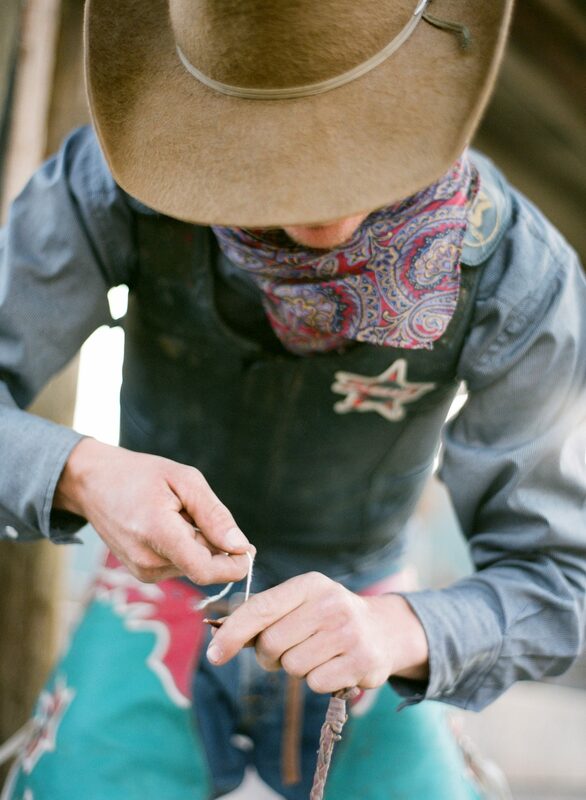 Ranch rodeos are based on the development of skills that are used to manage a working ranch. Read all about the different events here, or read the National Geographic’s feature about our rodeo and wranglers here. 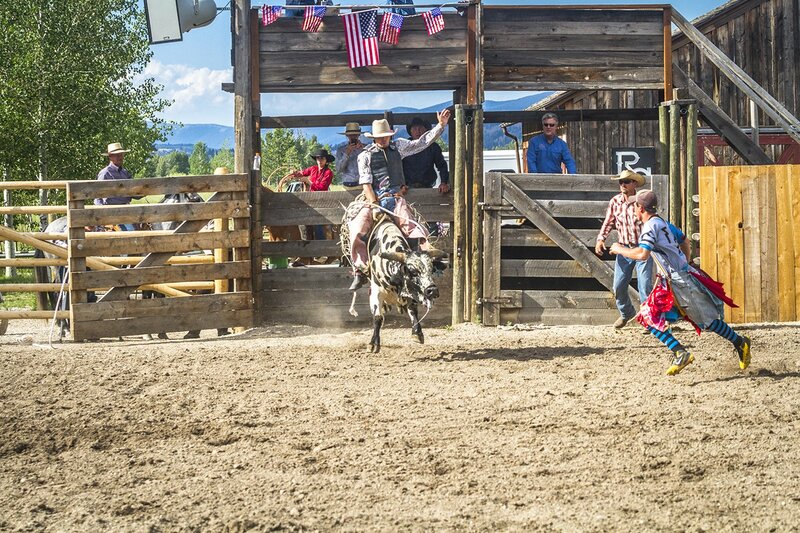 This will not only be a fascinating glimpse into Montana’s still-thriving cowboy culture, but it will also help set the stage for our Memorial Day Rodeo and celebration later that day. A rodeo is an event you need to see to believe. You never truly understand the athleticism of ropers, riders and racers until the clock starts ticking. 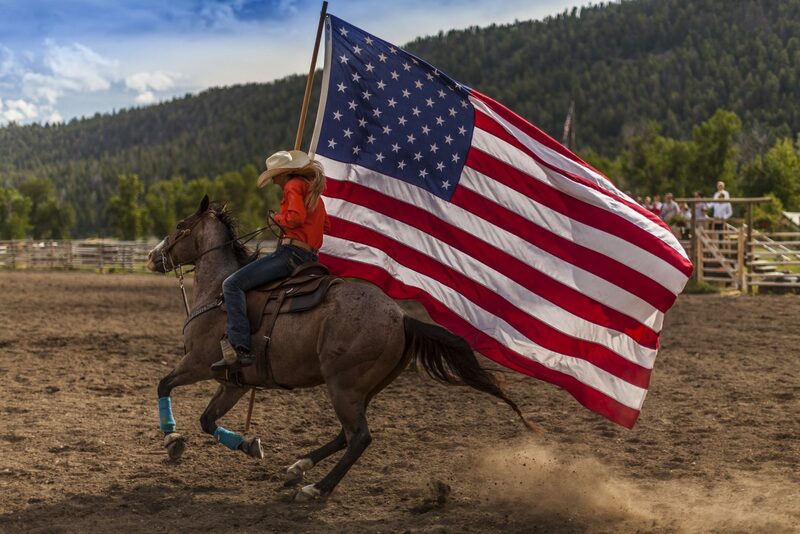 Memorial Day ushers in a summer of weekly rodeos, each one filled with excitement, joyful commentary and American fanfare. Each rodeo starts with the Grand Entry, where riders bring in the Montana and American flags and parade them around the arena. Each cowboy removes their hat, the crowd sits in silence and the rider steadies his or her horse for the singing of the national anthem. This moment allows us to grasp the gravity of the American spirit, only 224 years old, but incredibly resilient. After the rodeo, the culinary team hosts a barbeque on the Buckle Barn lawn. 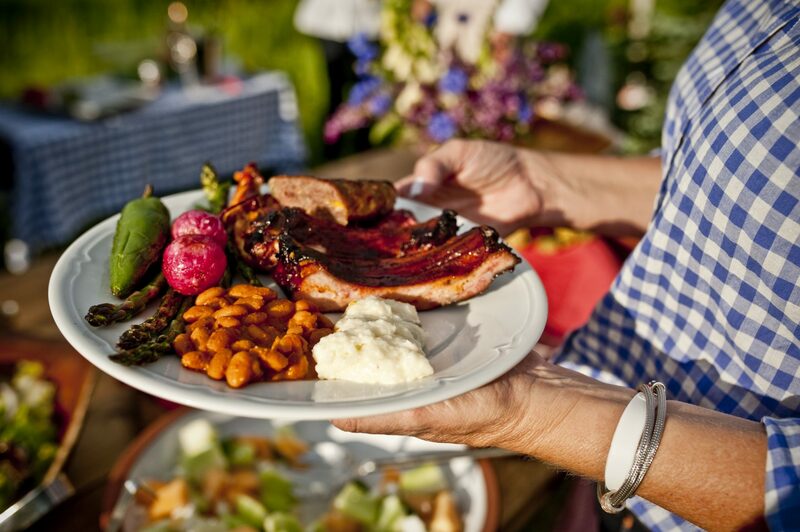 Guests join the rodeo athletes in eating their well earned meal, feasting on delights like ranchero beans, pecan-smoked Montana pork ribs, smoked chicken, jalapeño cheddar grits and blueberry cobbler. 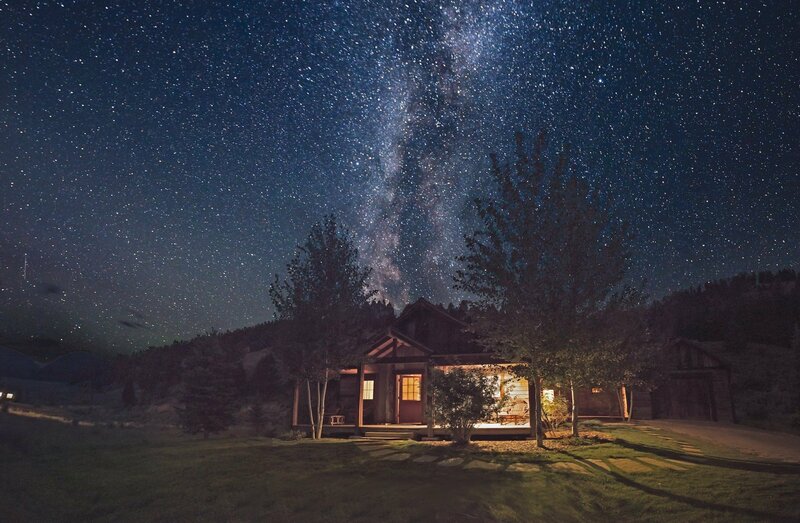 Four-bedroom Sara Jane’s Cottage sits under the big starry sky. We invite you and your family to come to The Ranch, find a home away from home in one of our luxury homes or glamping accommodations, and celebrate this grand entry into summer. See the full weekend itinerary. Sara Jane’s Cottage also features a bunk room with two sets of bunks. Interested in coming this summer or during seasonal celebration? Inquire about availability.